*except for naturally occurring in sea salt and celery juice powder. 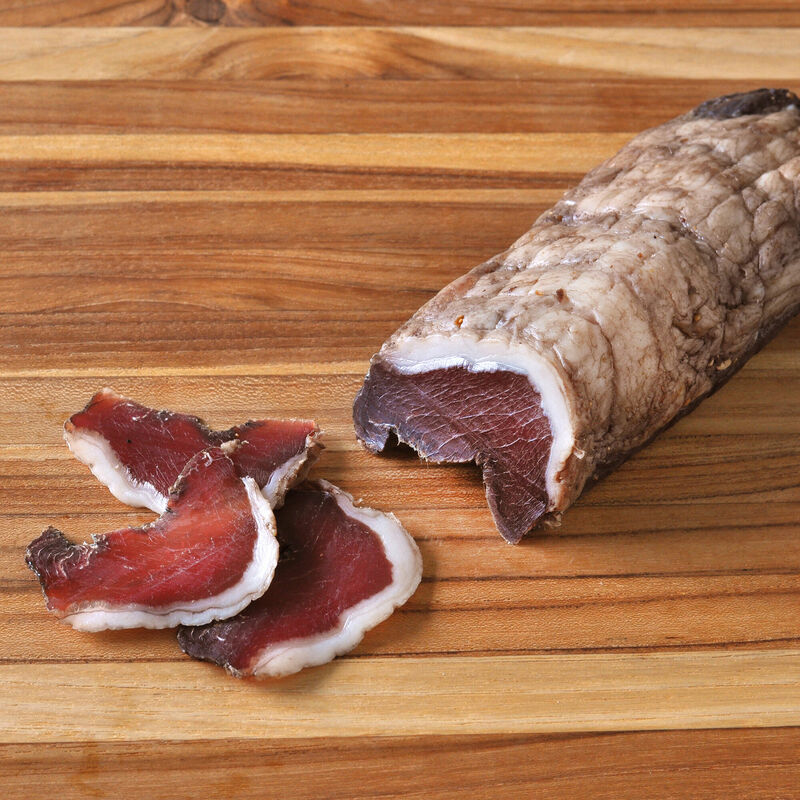 Serving Tips: Our Wild Boar Lonza is a unique addition to a charcuterie board. Using a very sharp knife, slice paper-thin against the grain then add a generous drizzle of extra-virgin olive oil to bring out its rich flavor. In Italy, lonza is often served with Pecorino cheese and fresh fava beans in the spring. We also like it with a swath of grainy mustard on ciabatta. Charcuterie refers to smoked, cured or cooked meats, all of which are traditional methods of preservation. We begin with the highest quality ingredients and follow traditional recipes and natural techniques. Our handmade charcuterie line represents the full range of styles and flavors, including bacon, cured ham, cooked, uncooked and dry-cured sausages, pâtés and mousses, duck confit and rillettes, smoked and cured duck, chicken and turkey breasts.